Perhaps you have found the training plans in books or magazines to be too one size fits all despite the “especially for you” label. Maybe you found the paces in the plans to be faster than you can run. Or, the plan does not provide guidance on what to do when you have missed one or more workouts. As your running coach, I can be the one to write a training plan that has paces you can run, workouts that fit into your life, and will help you achieve your running goals. Your running coach does not need to live in your hometown. I have helped runners from Canada to Puerto Rico, and Russia to the Philippines improve their performance in distances from 5K to Ultra-marathon. I have helped youth athletes in the Midwest and California improve in Cross Country, Baseball, Field Hockey, Crew, Soccer and Indoor/Outdoor Track. 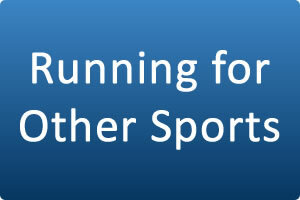 Contact me by phone or email so we can discuss how I can help you with your running.